Japan is known to be one of the pioneers in the development of modern technology. They are well-known all over the world to be leaders in change, innovation, and development. Because of this, it is quite well-known that the country is among the first in Asia to construct towering skyscrapers and tall buildings. The first skyscraper ever built in Japan was built in the year 1890 and it was known as the Ryounkaku. This building is known as the “Cloud-Surpassing Pavilion” because it is the first in the country to create such a milestone as “reaching the skies”. It was built in Tokyo and was designed by a Scottish Engineer named W.K.Burton to become a large marketplace for merchandise obtained from different parts of the globe. It was made from red bricks and wood frames towering to a height of 69 meters and totaling to twelve floors. Sadly, the building was destroyed by tremors from the 1923 Great Kanto Earthquake. The first time Japan started going beyond the 500-meter mark was in the 1960s when the Kasumigaseki Building was built. It stood a total of 512 meters and had thirty-six floors. It is also recognized as the first modern office skyscraper in Japan. It held the title of Japan’s tallest building until 1970. The structure in Japan with the most number of floors was Sunshine 60 in Toshima. It is a 787-meter tall building with a total of 60 floors. It held the title of Japan’s tallest building from 1978 until 1991. It has always been a long-term goal and dream for many Japanese firms to attain the title of having the world’s tallest building. However, it does not come easy for the environmental conditions in Japan. It seems that compared to their neighbouring countries, Japan has more obstacles to face preventing them from leading the game towards building skyscrapers which are higher than ever. It is known that the country is located in the Pacific Ring of Fire making it susceptible to both volcanic activity and earthquakes. There are limitations to the size, shape, height, and even locations of structures to be built in the country. For an artistic and one-of-a-kind building to be built, there are additional challenges which must be faced. With this challenge, Japan has been known to lead the world in the construction of pendulums, dampers, and other technologies that will transform a structure into an earthquake-resilient building. Furthermore, taller buildings have been out of the trend for the Japanese. In place of joining the race towards higher buildings, Japan is now venturing towards building lower but wider structures. This is to provide a feeling of safety and security for the users of the structure. To add to this, they also aim towards using these structures as a refuge in times of calamities and crisis. This structure in Osaka is known as the Cosmo Tower and was formerly known as the Osaka World Trade Center building. This structure, which was built in 1995, has a total height of 256 meters and has 52 stories in total. It is known to be the second tallest building in Osaka and the 3rd tallest building in Japan. This structure has its own observatory where people can enjoy the view of Osaka’s skyline. Another popular highlight of this building is their elevator which could take its passengers from the lowest floor to the highest in less than 80 seconds. This could be accessed between 1:00 PM to 10:00 PM every weekday and from 11:00 AM to 10:00 PM every weekend. Admission costs 510 Yen for adults, 210 Yen for students. The Osaka Obayashi building is a 30-level steel structure which was built in Osaka in 1973, it has a total height of 120 meters. It is a beautiful office building that has a Western design, compared to other places in Japan it took until the 1970s before skyscrapers were built in Osaka. It is the first building in Osaka which held the title for being the tallest in the prefecture. This building is the headquarters of the Obayashi Corp. in Japan. This structure is known to be the tallest building in all of Japan which stands at 300 meters with 60 floors in total. It is named as Abeno Harukas from the Japanese word harukasu which means “to brighten or to clear up”. This structure has a total of 100,000 square meters of floor space which makes it the largest department store in Japan. The Abeno Harukas is home to a department store from the 2nd basement to the 14th floor, a hotel between the 38th and the 55th floor, restaurants at the 57th floor, a museum on the 16th floor, and offices on other floors. What it is most famous for is the fact that it has a three-level observation deck located on the 58th floor to the 60th floor, known as the Haruka 300. The topmost observation deck is enclosed by floor-to-ceiling glass panels which could give a 360 view of Osaka. The 598th and 59th-floor observation deck has a wooden deck, a café, and a souvenir shop. People can dine in the café while enjoying the view from Japan’s tallest structure. This structure stands at 634 meters and was the tallest structure in the world before it was surpassed by the Burj Khalifa. However, a lot of people wonder why it is not known as Japan’s tallest building. The Tokyo sky tree, compared to the knowledge of most, is actually Japan’s tallest STRUCTURE. It is not considered as Japan’s tallest BUILDING because the majority of its height is not occupied. The main purpose of this structure is to provide the primary TV and radio broadcast site for the entire region surrounding Tokyo ensuring digital broadcasting coverage. Although the Tokyo sky tree is not considered as a building, it is still one of the most popular tourist destinations in Japan. 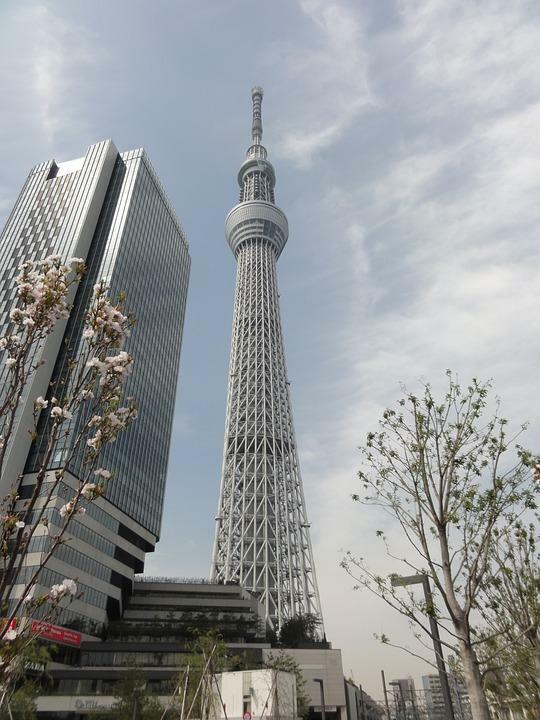 The Skytree is home to two observation decks, one located at 350 meters and the other at 450 meters. The first observation deck is home to the Skytree café and the Skytree shop. It is also home to the popular Musashi restaurant. The second observation deck is home to the spiraling corridor, giving a 360 view of Tokyo. At the base of this structure lies different tourist spots. Its grounds are a famous park for tourists which is highly visited during the spring months of March, April, and May. It is also highly visited during the summer months of August and September. It is home to a very large shopping mall with hundreds of shops, boutiques, and restaurants. Furthermore, it is home to an aquarium, a museum, and a planetarium. The entire place is accessible via the Tokyo Sky tree station of the Tobu Isesaki line. The Toranomon Hills is a steel structure in Tokyo which has a total of 52 floors and 201,000 square meters of floor space. This structure has a height of 247 meters up to the roof and 255.5 meters up to its antenna spire. What is interesting is that at 255.5 meters, it should be considered as the tallest. However, since its roof is only at a much shorter height, it is only considered as the second tallest building in Tokyo right after the Midtown Tower. Between the 6th and the 35th floor of this building are offices which are headquarters of different companies based in Tokyo. Among its popular tenants are the Government Pension Investment Fund offices, Novartis, and more. From the 37th to the 46th floor are 172 residential units. Then, from the 47th to the 52nd floor is the Andaz Tokyo Toranomon Hills hotel. This hotel has a one-floor large spa facility on the 37th floor and a total of 164 guest rooms. This particular structure, the Shinjuku Mitsui Building, is known to be one of the tallest buildings in Tokyo standing at 212 meters. It has a total of 55 floors and a floor area of 176,000 square meters. It was constructed in 1972 and was completed in 1974. It was the tallest building in Tokyo from 1974 to 1978. What people like most about this building is that it is highly illuminated at night. The light coming from the office windows give a glassy feel to the building in contrast to its completely black facade. On top of that, it is also popular due to the sunken garden at the base, the large plaza surrounding the building, and its beautiful roof-top garden. 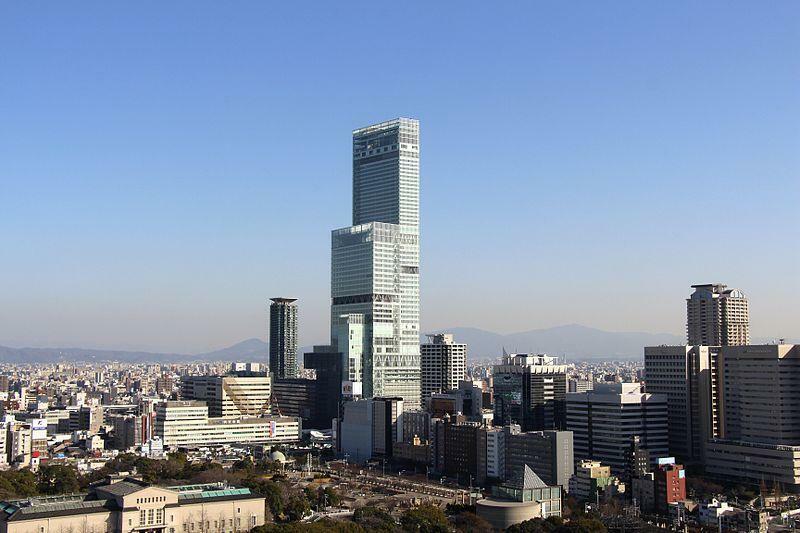 The Sumitomo Grand Tower has a height of 231 meters and a total of 40 stories. This structure is one of the iconic buildings along the famous Roppongi district of Japan – a place quite popular as a luxurious destination. The Sumitomo grand tower is mostly an office and residential structure which is home to the headquarters of TV Tokyo. It is directly connected to the Roppongi-itchome Statin of the Tokyo Metro Namboku Line which makes it quite crowded on a daily basis. There are restaurants and retail centers between the 2nd and the 3rd floor. This structure is most popular for its wavy S-shape – an interesting architectural wonder in Tokyo. The Shiodome city center has a height of 216 meters and a total of 23 floors. It is known to be the 17th-tallest building in all of Japan. The Shiodome City Center is best known for being an office building which is the home of multiple international companies which are based in Japan. This building is the worldwide headquarters of Fujitsu, All Nippon Airways, and Mitsui Chemicals. 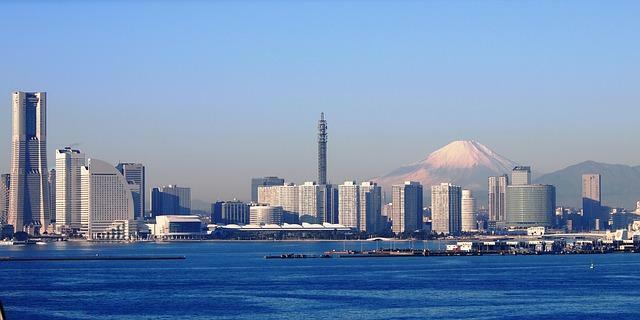 The Yokohama Landmark tower has a total height of 273 meters and a total of 73 floors. It has a floor area of 392,000 square meters, one of the largest in Japan. It is known to be the 4th tallest structure in Japan and the second tallest building in the country. This place is most popular for its Sky Garden which gives a 360-degree view of the city. It is said that on clear days, except during the month of June, the majestic Mount Fuji is in plain sight. The place is also famous for the two tuned mass dampers at the top of the building which is a construction innovation known to make the tall building resilient. There are a number of buildings in Japan which are still under construction but are sure to be a part of the tallest buildings in the country. Although medium-sized structures are more in-trend in Japan at the moment, there are still a number of towering structures whose construction is currently undergoing. One of this would be the Shibuya Station East Tower which is expected to stand at 230 meters by 2019. Another popular building which is to be expected in the future would be the Residential tower of Toranomon hills which is expected to be at a height of 222 meters by 2020. Another building would be the Park House Nishishinjuku Tower 60 which is a 60-storey structure with a height of 209 meters. However, the future is still set to let Japan give out its one last hurrah before officially investing on lower, wide-sized structures. It is said that a structure that would tower a mile (1,700 meters) high up the sky is expected to be constructed in Japan in the near future. Known as the Sky Mile tower, it is believed that this building shall surpass the Burj Khalifa in its title of being the tallest building in the world. This building is said to be planned to be constructed on a reclaimed island off the south of Tokyo in 2045.